Homogenized cow’s milk has been a staple in most people’s daily diet since early childhood. However, many individuals have allergies, are lactose intolerant, or simply don’t like the taste. The good news, as displayed in the dairy section of most supermarkets today, is that many more options are now available. Cow’s milk contains a significant amount of the recommended daily allowance (RDA) of calcium as well as protein. Cow’s milk comes in four options: whole, 1%, 2% and fat-free skim. Fat content, and therefore calories for each 8 ounce serving of milk varies as follows: whole milk, 8 grams of fat (136 calories); 2% milk, 5 grams of fat (120 calories); 1% milk, 2.5 grams of fat (102 calories). Skim milk is fat free and contains 87 calories per 8 ounce serving. It is important to note that only skim and 1% milk are considered “low fat”. Consumption of this type of fat can raise LDL or “bad cholesterol” levels. Regardless of fat content, all varieties of cow’s milk contain the same recommended daily allowance of nutrients. Lactose-free milk is a good option for those who are lactose intolerant (the inability to digest lactose, a sugar found in cow’s milk). Lactose-free milk is cow’s milk in which the enzyme lactase is added. The addition of this enzyme helps to break down the lactose. Lactose-free milk contains the same nutrients and calories as regular varieties of cow’s milk. Soy milk is also a good option for people who are lactose intolerant or have milk allergies. Derived from soybeans, soy milk contains similar nutrients to the same 8 ounce serving of any type of cow’s milk or lactose-free milk. One cup averages about 100 calories. Soy milk also comes in different flavors, vanilla being the most popular. Almond milk is made from ground almonds and water, and is a good alternative for those who have milk allergies or are lactose intolerant. However, it is important to note that almond milk is not suitable for people allergic to almonds or other tree nuts. Plain, flavored and sweetened varieties are available, which may alter the sugar and calorie content. Almond milk has far less protein than soy or cow’s milk, but is richer in calcium. Rice Milk is made from cooked brown rice and water. Depending on the brand, rice milk may contain added sweeteners, and most commercial brands are fortified with vitamins. Rice milk offers less than a gram of protein per cup, but is otherwise nutritionally similar to cow’s milk. Although nutrients may vary, the assortment of “milk” varieties available now provide choices for people with special dietary concerns, particularly for those individuals who have allergies, are lactose intolerant or who follow special diets. The post Milk appeared first on Specialdocs Consultants. 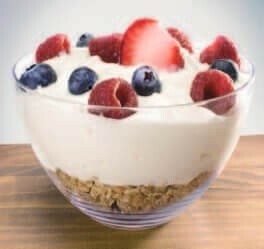 Yogurt Culture Soy – A Healthy Protein Alternative Going with the Grain Got Milk? Or Calcium Supplements? Or Neither?